You heard right, everyone’s favorite element in the Munchies’ mix is getting it’s own manuscript and biopic. Let me rephrase, they are making a film about cheesies. More specifically they are making a film about Richard Montanez, the PepsiCo North America executive who started at the literal bottom the corporate ladder as a janitor. According to Cheeto’s lore, Richard, then working as a janitor at an undisclosed corporation, was highly inspired by a speech he overheard by a big executive. The lesson reflected a business strategy he had yet to consider. With that lesson under his belt he was able to implement his fresh idea over the course a rigorous 2 week spell. During that spell he spent most his time scouring library books until he was ready to pitch, and pitch he did. The flaming hot craze is reaching a tempest. 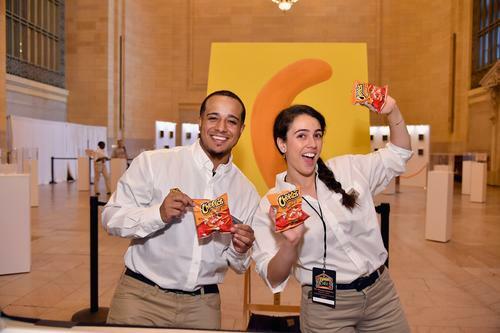 An all-Cheetos inspired pop-up restaurant was opened last year, and the menu reaches far beyond Cheeto crumble or Cheeto Batter. Ingenuity this sort looks to be the rewriting our dream narrative as a people. DeVon Franklin and Fox Searchlight will coproduce the film, tentatively titled Flamin’ Hot.